A free Secret Spot HTML5 CSS3 UI Kit based on My Secret Spot PSD UI Kit version designed by Florentin Steiner. 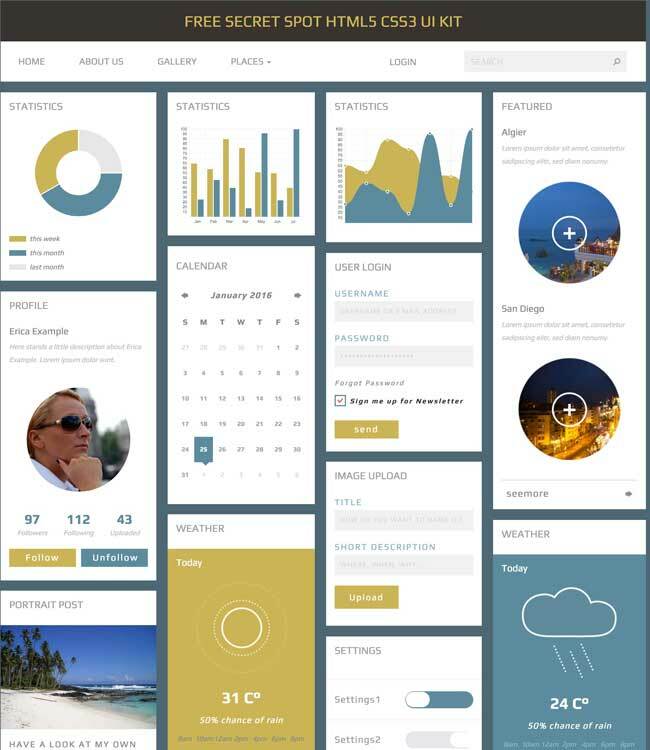 This UI Kit is built around a fictional website. Secret Spot HTML UI Kit includes lots of user interface elements for responsive web and web app. It’s built with HTML5, CSS3, jQuery and Bootstrap framework.